The previous government promised to get cameras onto commercial fishing boats. Earlier this year, the Minister for Fisheries Stuart Nash suggested that the new government might "scrap" this. We think Aotearoa's ocean life deserves better - do you? Now, almost 10,000 Kiwis like you have called on the Minister to keep the cameras on boats programme - and the Minister has heard your voices. He's taking a proposal to Cabinet to roll out cameras onto commercial fishing boats. Will you you help him to get this across the line? We are working together with Forest & Bird to run this petition. The ‘cameras on boats’ programme is fundamental to protecting our ocean wildlife and restoring my confidence in our fishing industry. I strongly support the electronic monitoring for all commercial fishing boats, to help protect New Zealand’s oceans and the incredible animals who live there. Every year, thousands of protected seabirds, dolphins, sea lions, and other animals die in commercial nets and fishing lines. The true number isn’t known because even though New Zealand’s fishing industry is legally required to report bykill, too often they don’t. Did you know that nearly all penguins killed in commercial set nets last year were reported by the 3% of boats with a government observer on board? It's often the smaller inshore fisheries that impact on wildlife but have boats too small for government observers. They need to have cameras on them. Earlier this year, you took a stand when the fishing industry tried to stop New Zealanders from knowing what really goes on at sea. You told us that transparency is vital to restore confidence in the fishing industry. I will support you to install cameras on all commercial fishing boats, but I will strongly oppose any attempt to limit or end the programme. Don’t back away from this important activity – for the sake of our oceans. We know that putting cameras on boats won’t save our dolphins from being accidentally killed in fishing nets, but it will provide crucially-important data. While some New Zealand fishing companies are taking real steps to make their fishing more sustainable, we're still hearing worrying stories - stories of illegally caught fish being dumped overboard, and of endangered marine mammals dying in fishing nets. The future of sustainable fishing is through transparency. Done right, putting cameras on fishing boats would make it very hard to hide marine mammals or seabirds dying in fishing nets, and would really help to deter fish dumping. Equally importantly, it would show beyond doubt when fishers are successfully avoiding bykill. This year, parts of the fishing industry have lobbied hard to stop these cameras from being rolled out across across New Zealand's commercial fishing fleet. In January, our partners at Forest & Bird revealed that industry lobbyists had written to Minister Stuart Nash, asking him to exclude camera data from the Official Information Act - to keep things like fish dumping and marine mammal bykill secret from people like you. Then, the Minister stood strong and said he would refuse this request. In February, a month later, the Minister wavered. He suggested that it could be an option to "scrap" the cameras altogether. Almost 10,000 people like you wrote to the Minister, asking him not to lose his nerve and get the cameras onto the boats. Now, thanks to people like you, the Minister is bringing a plan to Cabinet to put cameras on boats - can you add your voice to help get it over the line? 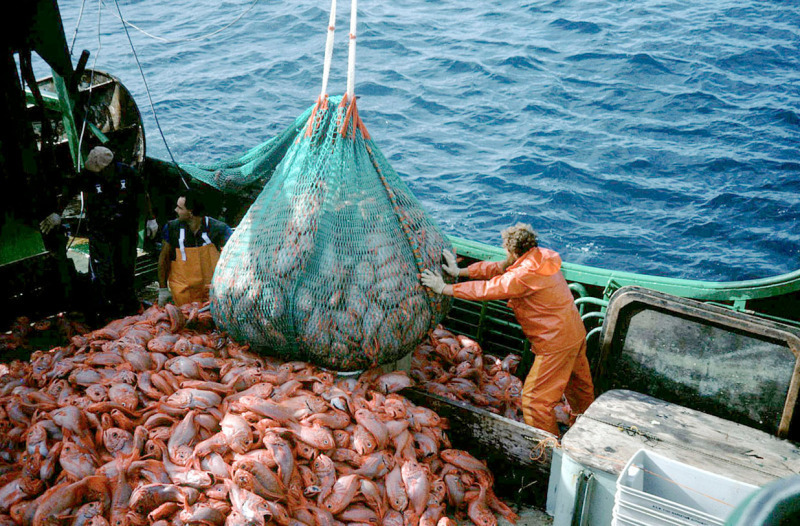 Images used on this page are intended as examples of different fishing vessels. Not all are from New Zealand. However, they provide indicative examples of the various sizes and types of vessels used in New Zealand waters.